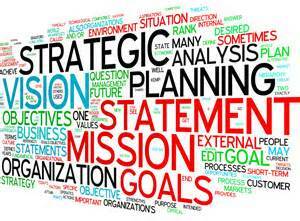 Strategy: noun, a plan, method or series of maneuvers for obtaining a specific goal or result or a particular long-term plan for success. One of the laments of managers is that their people aren’t strategic enough. They want strategic thinkers. They want the group to be viewed as strategic advisors. They ask people to develop strategies for achieving certain outcomes. Usually, what they are getting is tactics. When I speak with managers about this dilemma, I often ask them how they spend their time with their people. The response is usually that they talk about what the person is doing, specific issues related to a specific task, the plan for this week or next. Rarely do I hear them say they are talking about strategy. To develop strategic thinkers you have to talk about strategy. What is strategy about? It’s about the long term. It’s about putting disparate pieces together and seeing the connections. It’s about understanding how what you do works in the larger context. It’s about how a result will be achieved and why it is important. If you want to develop more strategic thinking, demonstrate it in your conversations with your team. Share industry insights with them. Talk about how larger company issues impact what they do. Talk about how what they do impacts larger company issues. Discuss the implications of what is happening today for long-term success. Ask them to think about how their approach to a particular issue or problem will impact other steps that are needed to achieve the goal. Ask them to assess the consequences of their actions on near-term and long-term outcomes. Try this in three meetings this week. And then again the week after and the week after. Make it a regular part of the conversation. http://nextbridgeconsulting.com/wp-content/uploads/logo-2-new_lngc2.png 0 0 nextbridgeconsulting http://nextbridgeconsulting.com/wp-content/uploads/logo-2-new_lngc2.png nextbridgeconsulting2015-10-23 08:00:422016-12-25 04:52:46What are You Talking About with Your Team?